Digital product managers are helping build the apps and programs we use on a daily basis. 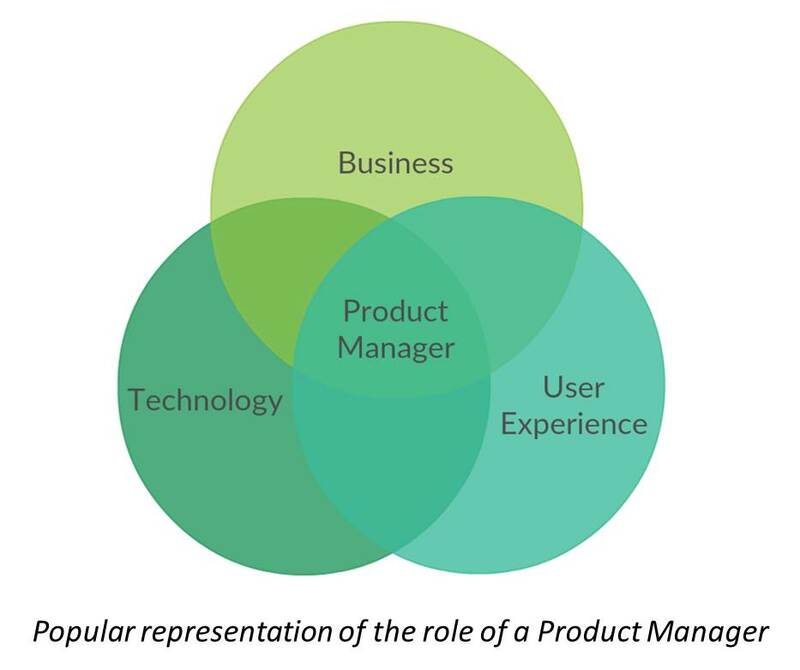 So what exactly do product managers working in scientific publishing do? After my second postdoctoral research experience, I was seriously looking for a career outside of academic or corporate research that would help me apply the knowledge gained over the years for practical purposes. Hence, I took a much needed break to understand the various options available to me. I was looking for an opportunity to use the analytical abilities that are deep-rooted in me and use them to develop innovative products. Fortunately, I found the right position as a product manager at Springer Nature. Soon after I took the position as a product manager, many of my ex-colleagues still working in research were curious about my role in the publishing industry. They assume that it has something to do with being an editor or managing the publication process. However, a product manager’s actual work is very different from an editor’s work. At Springer Nature, my focus as a product manager is on building tools and resources to support life science researchers. I am working on a platform called “Springer Nature Experiments”. Springer Nature Experiments is a new research solution that empowers researchers to quickly and easily find and evaluate the most relevant and important protocols and methods to support their research projects. Searching on Experiments covers the entire Springer Nature protocols and methods portfolio, the largest available resource with more than 60,000 articles from Nature Methods, Nature Protocols, Springer Protocols and Protocol Exchange. My experience as a research scientist helps me in fulfilling my role as a product manager by understanding the needs of users (researchers in this case) and building tools and resources useful for scientists in their day-to-day activities. To illustrate what a product manager in action looks like, I take this opportunity to share my typical workday schedule. • 8:00 a.m.: My day usually starts early. Since I work as a part of a truly global team spanning multiple time zones and regions, as soon as I enter my office, I check my e-mails and messages to catch up and inform myself of latest developments and notices from my colleagues in different regions. This activity helps me plan and prioritize my day accordingly. I also similarly check my calendar for any meetings, whether in-person or conference calls. Similar to working in a research field, it is very important to keep track of latest developments, industry news, events and blogs to ensure I am up to date. Therefore, I spend the next half an hour on my bookmarked list of web pages like Scholarly Kitchen, Nature Briefing and Labiotech reading the latest content. Many years of scientific training has prepared me for reading large volumes and gleaning relevant information very quickly and accurately. This ability is critical for a product manager. • 9:00 a.m.: As an experienced research scientist, I am used to organizing multiple projects and tasks based on priority. I use a document called "Agenda" to list down the weekly tasks, keep track and color code them based on priority. If there are any queries from the team, I take time to respond to those queries first before beginning with issues that I directly need to address. • 10:00 a.m.: My first meeting today is a video conference call with the software development team based in India. 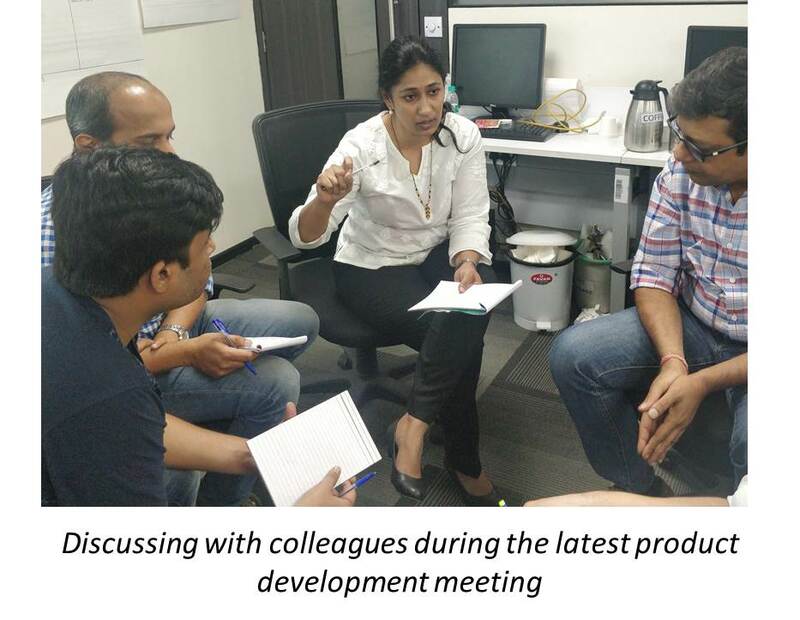 There are many other colleagues on the call; the technical product owner, who coordinates the work and priorities of the developers, the business analysts, who help translate product requirements into actual features to be built, and the user experience designer, who studies user behavior and optimizes the platform design. As a team, we agree on a quick update to the task list in the development pipeline for the week and the order of prioritization. Depending on the severity of the issues, each task is assigned priority. If there are any important updates or new features that have gone live, I convey the message to the marketing teams to ensure the update is effectively communicated to Experiments users. • 11:00 a.m.: One of my important tasks is to prepare a competitive analysis report on Springer Nature Experiments. I find this task very useful as it has launched me on the right learning path to understand the strengths and areas for improvement, the different features covered by other platforms, pricing, business models and market penetration. These analyses help us as a team to understand how different offerings address researcher needs. Understanding the landscape is important to ensure we develop Experiments in ways that continue to address lab researchers’ needs and to do so in unique and innovative ways. I keep the document up to date and inform our team about any interesting and relevant news. • Noon. : The famous university town of Heidelberg is a major Springer Nature hub, with many Experiments and Database team members located here. I make sure that I socialize with the team and I found lunch is good time to learn about the work of others and discuss any other wider topics. We usually keep it short, about half an hour, and when I get back I reply to emails and prepare for my next meeting of the day. • 1:00 p.m.: My next meeting is involves with colleagues working directly or indirectly on Experiments from different departments. In the process of new feature development, we plan user research interviews to better understand user pain points and needs. We’re always looking for researchers to interview and here, my life sciences contacts from my previous scientific experiences are very useful. Collaborating with our subject matter expert, who also has a life science Ph.D., and our user experience designer, we draft questions for Springer Nature Experiments users. I participate in as many user interviews as possible to understand researchers’ needs better. One of my main tasks is to help translate the informational needs of researchers into product requirements that the development team can build scientifically relevant solutions for. A previous example would be searching by experimental technique or model organism on Experiments. • 2:00 p.m.: This time is reserved for different calls on different topics depending on the day of the week. On Mondays, typically, I have a quick catch up call with the marketing team to assess tasks needing the marketing team’s support and to discuss the priorities of such tasks. On Tuesdays, I have a video call with the subject matter expert, based in India, to discuss any data analysis work that needs to be done to help guide the development process. On Wednesdays, I have a call with the Springer Nature Experiments product director based in New York to align myself with the targets set for the month and update and prioritize my personal tasks. Depending on the first three days of progress, I also participate in ad-hoc meetings with different teams as needed. • 3:00 p.m.: There are several ongoing tasks like preparing presentation decks or posters for conferences and meetings. I usually assign this time for completing these tasks and then at about 4:00 p.m. I wrap up and head home early to try and avoid serious traffic! 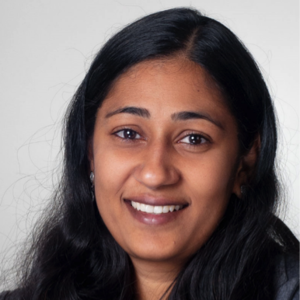 Ultimately, as a product manager, my responsibility is draw on my colleagues’ expertise and the resources available to my team to best understand the researchers’ needs so we can effectively build tools and resources, like Springer Nature Experiments, that further empower researchers in the lab. I'm currently the Product Manager for Springer Nature Experiments, the platform that empowers researchers to quickly and easily find and evaluate the most relevant and important protocols and methods. I am a Bio-chemist by training with a PhD from Open University, UK and International Centre for Genetic Engineering and Biotechnology, Italy. I did my postdoctoral research at University Heidelberg as well as at EMBL (EIPOD -EMBL interdisciplinary postdoctoral fellowship). Fascinating to learn how you spend your day! Thanks Ruth for finding my day interesting. Very well articulated ! Enlightened about your role !